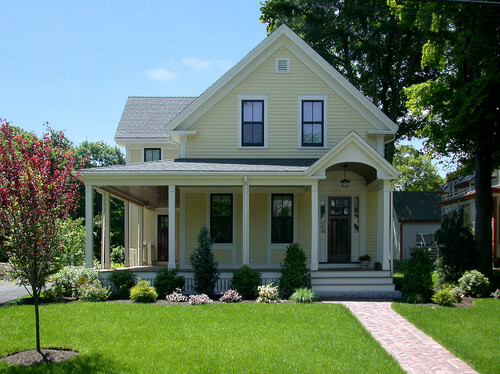 House Styles: What kind of house are you? What kind of house are you? 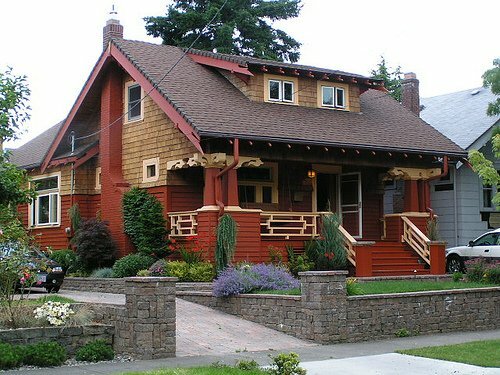 Do you have a favorite house style? 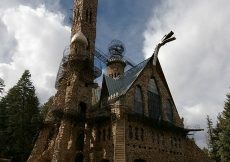 Is there a certain kind of house when you see it, there is that instant recognition and you just know. We all have favorites of just about every nice thing or food. My favorite candy is Reese’s Peanut Butter Cups. My favorite kind of shoes are slip-ons. My favorite dinner to make is casseroles. 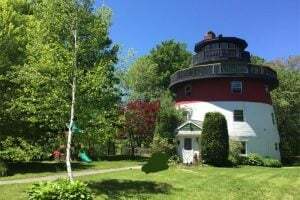 I’ve written about different houses and been wondering what kind of homes are the favorites. 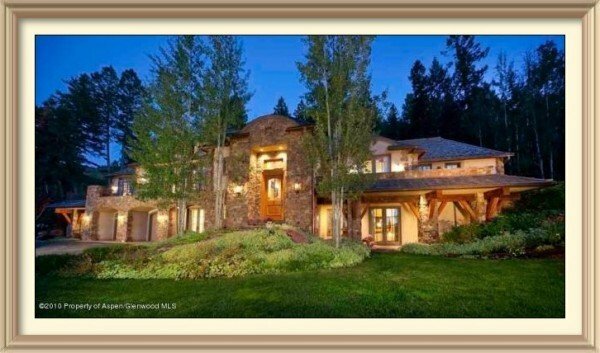 I am showing some different houses here, some from my blog and some from Houzz, and down below is a poll to take on your favorite house style. When I think of a ranch I think of a one-story home. This is a mountain style one-story that is in San Francisco. 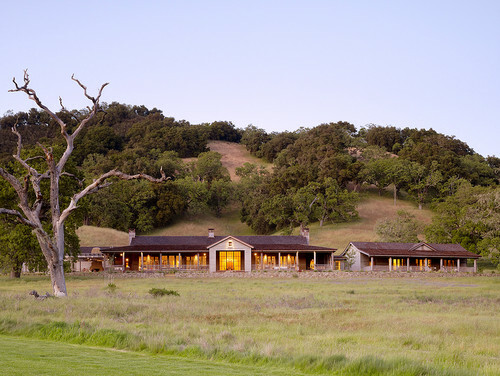 It’s a good example of long, close to the ground profile ranch. 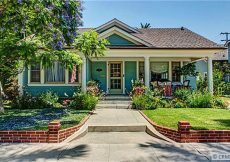 This Bungalow shown on my post Bungalow O Bungalow is a beauty to behold for its deep, rich, red exterior color and craftsmanship. 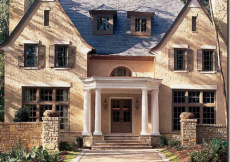 European, Tuscan, and/or Mediterranean houses shown here and below make my list of favorite house styles. This is from an old post back in January, click here to see the interior. 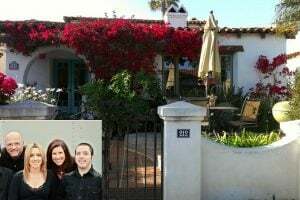 Spanish Mediterranean house style above is from the same name post. 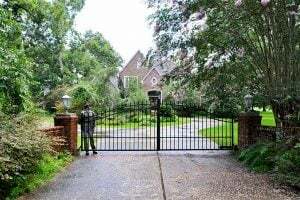 I found it on a fantastic website for scouts to find quality homes for shooting TV or movies. 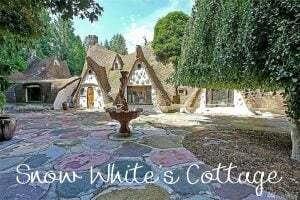 Cottage house styles (this is Bee Cottage) are picturesque storybook charming and very popular if Pinterest is any judge because Cottages are all over Pinterest and there are many blogs dedicated to cottages. 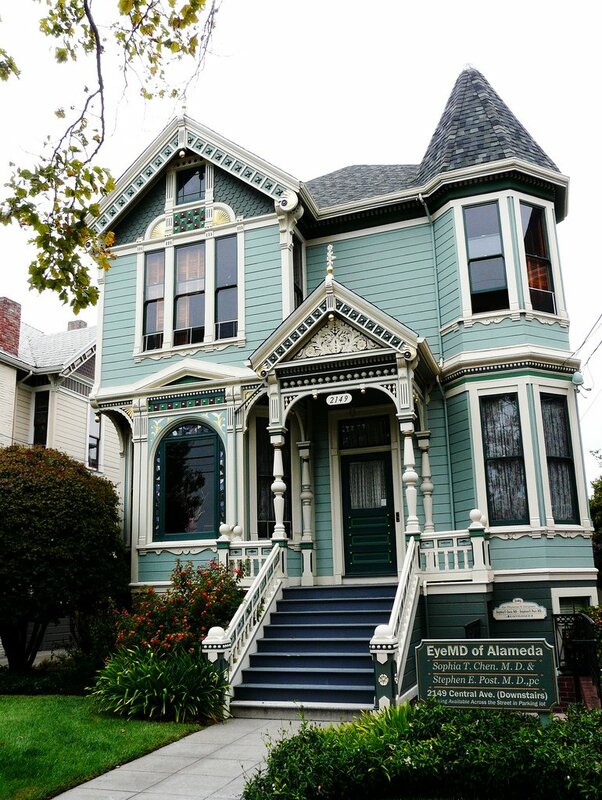 Victorian houses are eye candy house styles. From my post of same name where can see more Victorian houses to help you make up your mind. Victorian houses are like hand decorated cakes in the bakery just waiting for you to take them home. Yum! 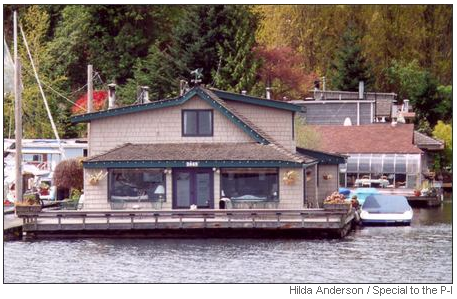 Maybe you like a Houseboat like the one from Sleepless in Seattle movie. This type of houseboat is not motorized, but is moored, meaning to stay put. In the United States, Seattle, Washington has large communities of houseboats like this one. 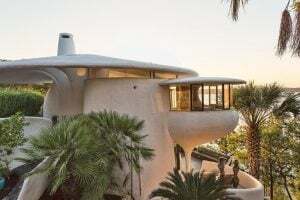 To read more about this famous movie houseboat and other houseboats click the link Houseboat. 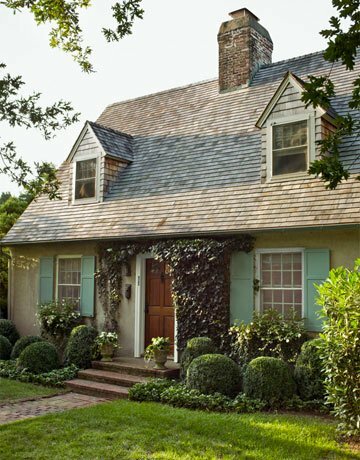 A traditional Farmhouse with wrap around front porch and brick walkway. 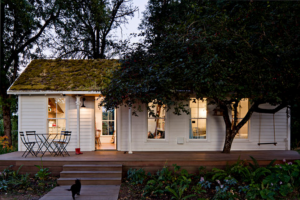 There is a huge interest for houses with wraparound porches on Pinterest. 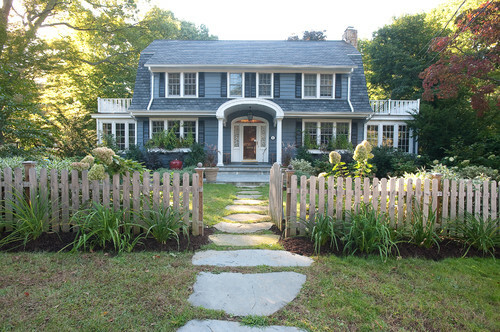 Traditional Landscape design by New York Landscape Architect Westover Landscape Design, Inc.
A Dutch Colonial with true, blue painted exterior, double upper decks, a killer picket fence, and stone pathway to the welcoming front door. 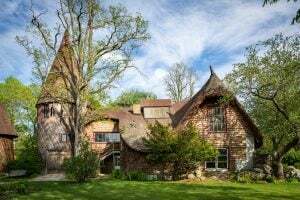 A magnificent Cape Cod house style by architect, Charles Page, is a Cape Cod with a French flair to it and seen in its entirety here. 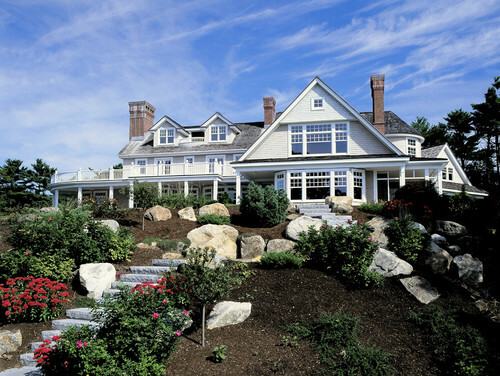 Another example is this luxurious Cape Cod home with dormers, upper deck, covered porch, and roof peaks. You’ve eaten your fruits and vegetables, and now it is time for dessert. It’s a Mansion house style, Mediterranean, but Mansion all the same. And, a French Manor Mansion house style to gorgeous to be real. Knock, knock. Okay, I’ve covered some house styles and now it’s your turn. 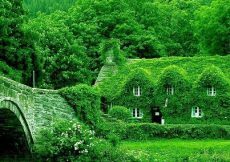 What kind of house are you? Vote for your favorite. 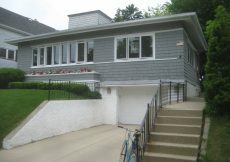 The house styles listed in the poll are not just from the houses above. Multiple choice voting is available. Please leave your answer in the comments section too. I love the Spanish Mediterranean photo above, Sue! 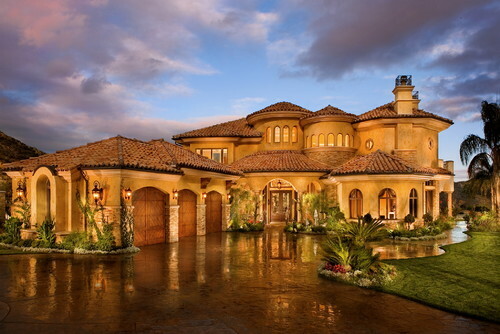 It combines the stucco and tile roof with a romantic European style. 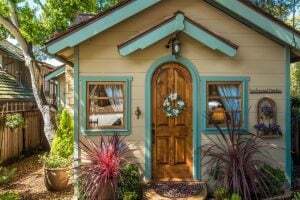 I also love the cottage look. What a contrast of styles I chose, haha! I picked a few different ones too including cottage. It’s kind of fun having the poll and I plan to do more of them. 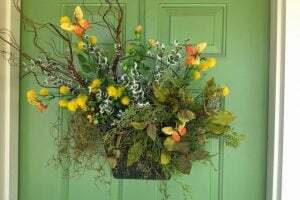 Love your succulent wreath with hens and chickens that remind me of my Mom.